Sometimes you need someone to slap you in the head. 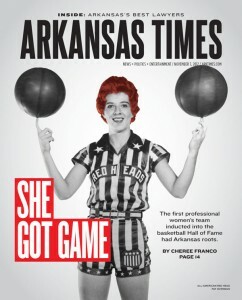 The cover story of this issue was all about the All American Red Heads basketball team. (Think the Harlem Globetrotters, except as white women with red hair.) 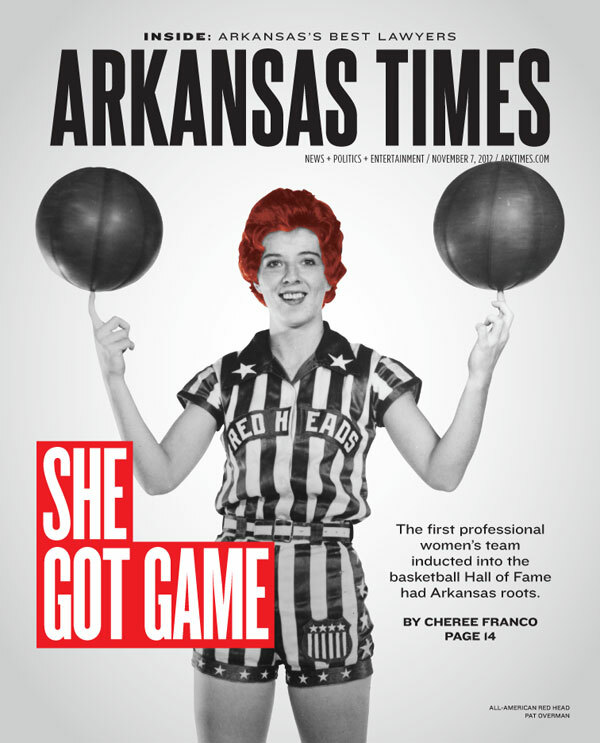 The team has its roots in Arkansas. I had never heard of them and I’ve been a huge basketball fan most of my life. Shame. Anyway, we had lots of great old black and white images of players from the team. After plopping the image and headline on the page, I stared at it forever trying to figure out how to get a black and white image pop from across the street. I ultimately settled on putting some red behind the headline. I stared some more. Didn’t know if I was thrilled with it, but thought I had stared too long. I turned the cover in as is. I was afraid it would look ridiculous, but it looked just right. Now staring needed this time, I loved it. And that’s how you make a cover.